The head of a Dewsbury IT company has warned that businesses face a shut down and have failed to plan properly for potential attack by virus. 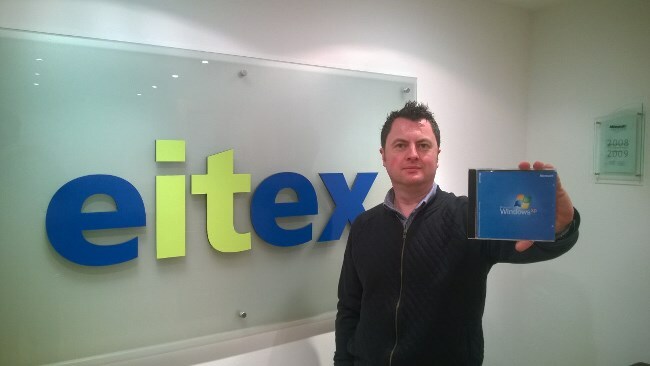 Dean Spencer, MD of Eitex IT Support, issued the warning as Microsoft prepared to withdraw support for Windows XP on April 8. He said that the impact could cost industry millions and that unlike the Millennium Bug, which had companies planning years in advance, those still reliant on Windows XP had failed to make proper contingencies. “For more than ten years, thousands of local businesses have been reliant on the Windows XP software. “Unlike the Millennium Bug which had business investing millions to avoid catastrophe and potential shutdown many organisations have ignored the shutdown of XP as though it won’t make a difference. “It will to those still dependent on it post April 8. “Microsoft has been advising IT professionals for over 18 months now, but this hasn’t been communicated effectively to business owners and PC users. “News channels will probably make a noise in April, when it is too late. “Whether Microsoft are to blame for this, or IT Support companies is regardless, but companies need to act, and act fast! “Users that don’t upgrade by this period will face an onslaught of malware, viruses and security breaches on their systems.